Directions: From Denver take I-70 west to C-470 east. Exit at Ken Caryl Ave and head west. Turn left onto S. Valley Road and take this to the main parking area. The is the classic/standard hike through South Valley Park and it highlights the parks towering and iconic red rock formations. The trail is relatively easy and a great hike for kids. The trail skirts the major rock formations, gains a little elevation, and weaves through more formations while skirting a hogback ridge. 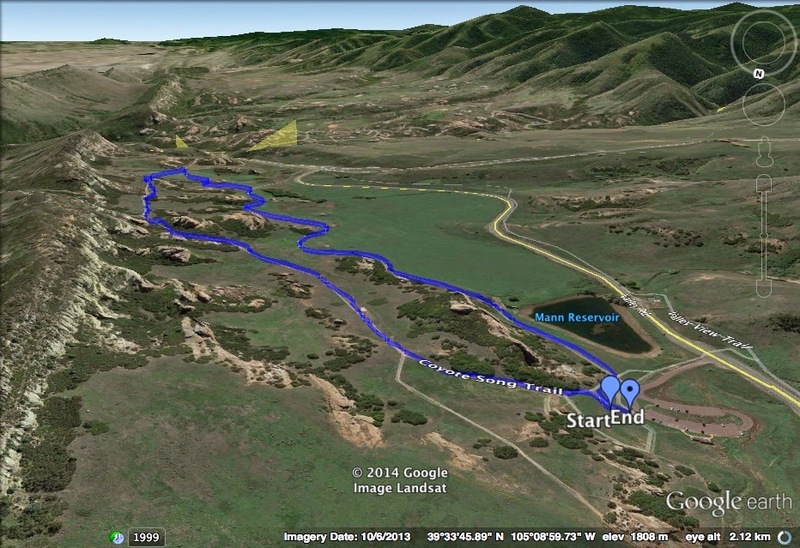 You can also do this loop by starting at the south trailhead. The southern TH route adds about .8 mi (RT) to the hike and showcases even more of the magnificent rock formations. Either way you go you will not be disappointed. With far fewer visitors than nearby Red Rocks Park or Roxborough State Park, South Valley offers a wonderfully peaceful alternative.